I must have been living under a deep sea rock or something because I have been running Wireshark for a while now on my Mac and since Mountain Lion was released, it has been necessary to install XQuartz so that there’s an X-Server running on the machine, and Wireshark then runs using X for its GUI. This isn’t the sweetest of arrangements – truth be told the app looks clunky and, well, like it’s written using X-Windows for its GUI. Still, at least it meant I still had Wireshark, so I was willing to tolerate the quirks of running Wireshark on OS X, not limited to the app running but not displaying the app window anywhere (supposedly a “feature” introduced when Apple changed how Spaces worked in Mountain Lion). I recently reinstalled Wireshark on my home MacBook Pro and, oh, what’s this? This does not look like the usual XQuartz menu. 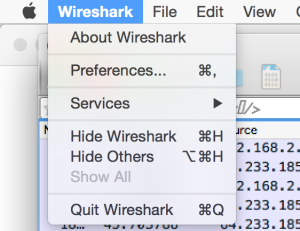 In fact wait, Wireshark isn’t in its own window with its own menus; it’s acting like an honest to goodness native application and using the OS X menu bar! Did Wireshark quietly go native? 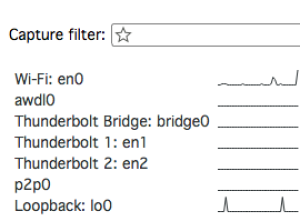 You can see that for each interface, Wireshark starts plotting a cute little activity graph – this makes it very easy to see which interfaces you might want to tap. I find it hard to put into words how exciting a development this is. Proper integration with the cut and paste buffers! Normal OS X application behavior! No need for XQuartz! Better-looking graphics! Seriously, this is a fantastic step forward and I can’t wait for it to get out of development and be released. 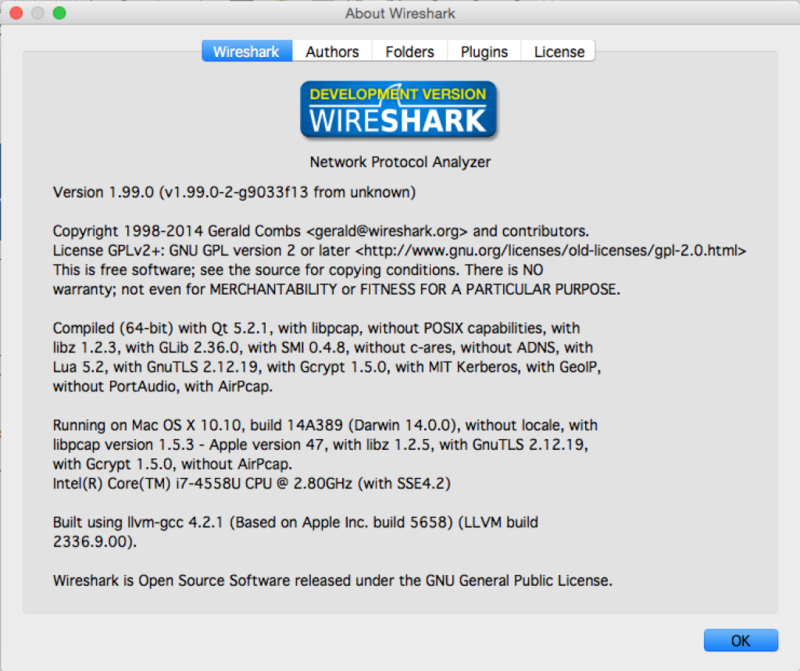 It’s a huge step forward for Wireshark on OS X, and I think there are many like nerds out there who will be thrilled to hear about this. I’m going to continue running 1.99 for the moment, but I have the 1.12.0 installer ready just in case I hit a bug and need a more reliable version. Ruckus Wireless User? Here’s your OS X Yosemite Warning. Awesome find! I wasn’t aware this was coming. This is a huge step forward, and I’m really glad to see it. Absolutely. Great job by the people developing it, and I suspect much appreciated by all of us OS X users! I was so happy to install 1.199.1 but I think we need to wait few more weeks. I am using Wireshark for SIP analysis, but I still see many improvements there. Anyway, thank you for working so hard and make our life easier!